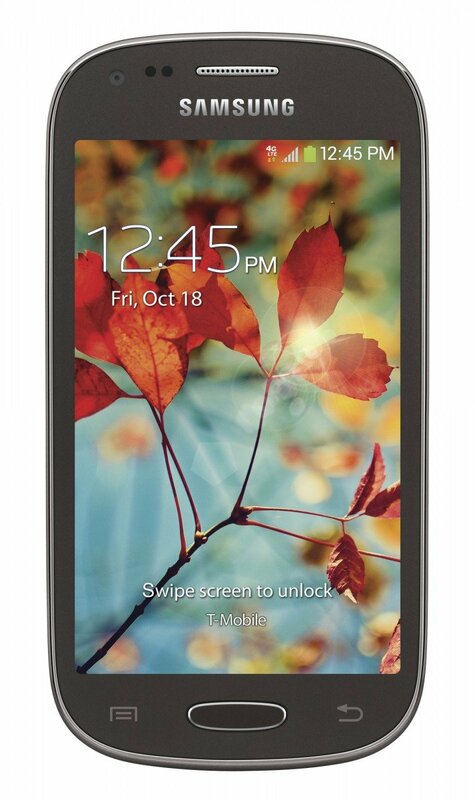 T-Mobile US has announced plans to launch the Samsung Galaxy Light, a new entry-level 4G LTE handset. Looking like a cross between a Galaxy S3 Mini and Galaxy S4 Mini, the Galaxy Light packs a 4-inch WVGA display, a quad-core 1.4GHz processor and 1GB of RAM, and runs Android 4.2.2 Jelly Bean. There's 8GB of internal storage, expandable via microSD card, and the phone ships with a 1800mAh battery and a 5-megapixel camera. So nothing much to write home about, but T-Mo should be targeting a low price point for the device when it launches at some undisclosed point in the future. Meanwhile today sees the launch of Alcatel's affordable OneTouch Evolve on T-Mobile — yours for $28 down, with 24 monthly payments of $3.